The Bennett Rotahitch is a automatic pick-up hitch for telehandlers and industrial loaders. 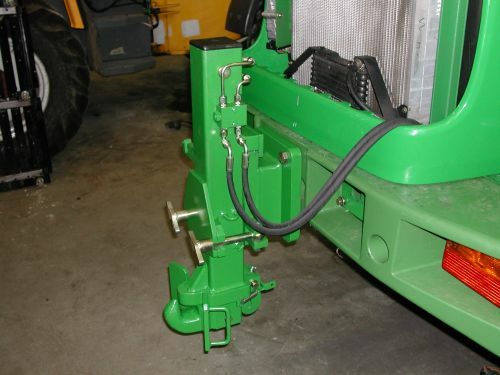 The unique feature of this hitch is the ability to rotate the hitch to a horizontal position when not in use. 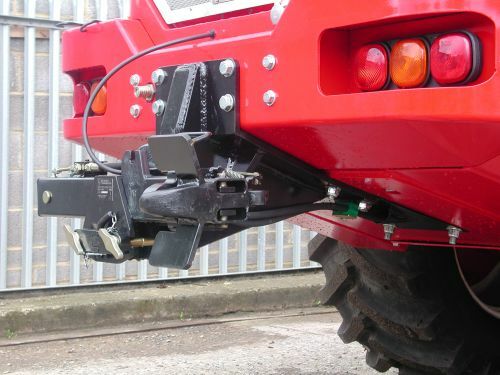 The rotahitch then allows maximum ground clearance when operating the telehandler. 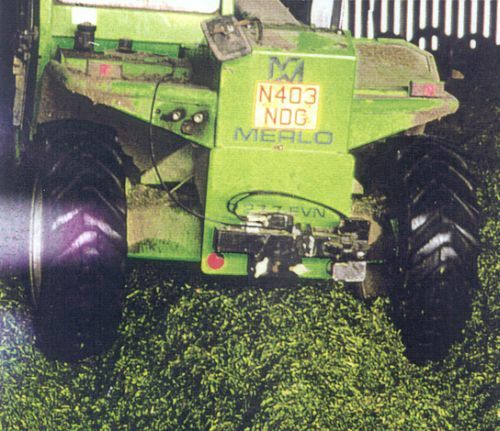 This is particlarly advantageous when for example using the telehandler during a silage operation. The telehandler is often required to move equipment between sites / farms. This might be a trailer carrying the buck rake that is too wide for road transportation or a fuel bowser, the pick-up makes this operation quick and easy. The disadvantage of most other telehandler hitches is that by having one fitted ground clearance is lost. The hitch can then hit the ground or act like a brake as the telehandler drags the hitch up the clamp. This can mean the hitch must be removed, wasting valuable time during a busy period. The rotahitch can be simply moved into the horizontal position in less than a minute without the need for any tools or special equipment.